Liverpool boss Jurgen Klopp was reportedly left far from impressed after the club missed out on former Nottingham Forest starlet Oliver Burke. The 19-year-old was on the club’s radar, but as noted by The Sun, Red Bull Leipzig confirmed his arrival in a £15m deal earlier this week. After making his breakthrough last season, Burke had scored four goals in as many starts for Forest this season, but the club cashed in and allowed him to move on to the Bundesliga where Leipzig will hope he can have a similar impact. 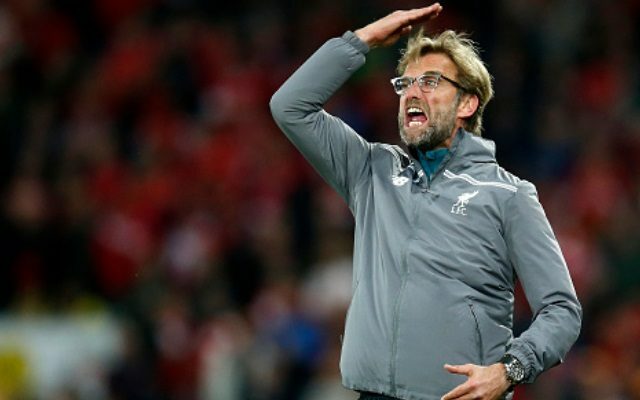 While the German outfit will now benefit from having him in their squad, it has reportedly left Klopp furious that Liverpool weren’t able to move first and secure a deal, according to the same report. It was a busy summer transfer window for the Premier League giants, with their German tactician bringing in the likes of Loris Karius, Joel Matip, Georginio Wijnaldum and Sadio Mane, and based on this report their work wasn’t over. Klopp has made a point of injecting youth into his team where possible, and he was seemingly left angered by his scouting staff’s inability to stay on top of Burke’s future and swoop before their rivals. Bayern Munich, Arsenal and Manchester United are said to have all been interested in the Scottish international too, but provided he continues to develop into the player that many expect him to be in the coming years, they’ll have to splash out significantly to take him back from the Bundesliga in the future. Incidentally, the decision to sell earned Forest plenty of criticism, with former star Stan Collymore adding to the calls for new ownership at the club. Said it for #AVFC under RL/Fox, now time to say it under Fawaz at #NFFC.Time to go. A fresh start needed at a great club.